For anyone who just can't stop cluttering up their desktop, these tips are for you. We’ve talked before about how to keep the desktop clean. But for desktop addicts it’s not so simple, is it? The desktop is a convenient place to quickly store files that you download or want to have readily available. At least at first. Over time, the files build up and before you know it the desktop is a mess again, the exact opposite of efficient. Here are three tools for dealing with the chaos. The desktop’s generic context menu. This is equivalent to the age-old strategy of cleaning up a messy room by stuffing everything into the closet. The mess is no longer all over the bed and floor, but it’s still there, hiding. Go to the desktop and right-click on an empty space. Now select View > Show desktop icons. You’ll notice that menu option has a check mark next to it, and selecting the option removes it. Now everything on your desktop will disappear including the Recycle Bin, but it’s not gone—just hiding. The minute you re-check that option all your icons will return. This is a helpful tool if you ever need to get rid of everything in order to take a screenshot or just to clear out the cruft for a few minutes. 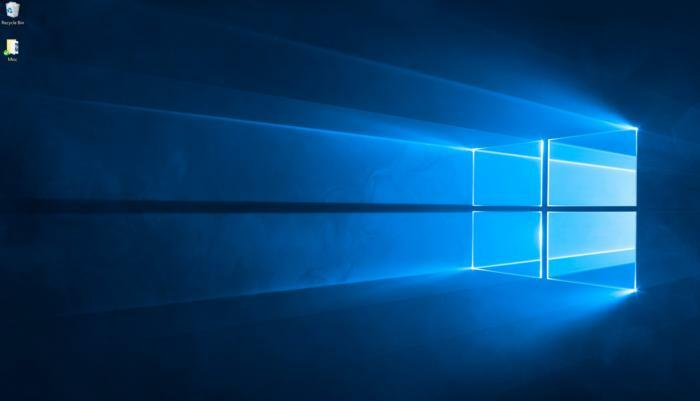 A hidden taskbar in Windows 10 gains back those crucial extra pixels. Hiding the taskbar is a classic move when you need that little bit of extra space on your desktop. In Windows 10, right-click the taskbar in an empty space and select Settings. This will open the Settings app directly in the taskbar section. From here, turn on the slider labeled Automatically hide the taskbar in desktop mode. In earlier versions of Windows, right-click the taskbar and select Properties. A new window will appear. Under the Taskbar tab check the box labeled Auto-hide the taskbar. Then hit Apply and OK. 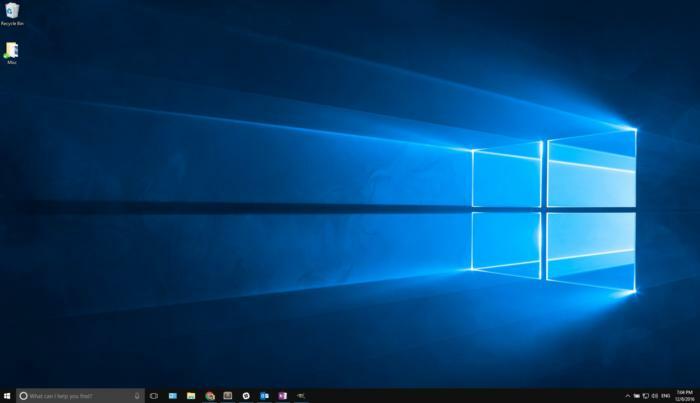 The taskbar is now gone. If you need it to come back, just hover your mouse over the area where the taskbar should be. It will return and when you take your mouse away it will disappear again. This last one is a little tricky to use, but it can be helpful. There are a number of desktop wallpapers out there that are sectioned off to allow you to organize the files on your desk into categories such as files, images, personal, business, and so on. Check out this old Lifehacker post, which details a bunch of them. All you do is set the wallpaper as your background, and then drop the files into the corresponding spots. Windows can sometimes mess with the placement of your desktop files—especially if you have a multi-monitor setup. But it can still be a very helpful.